Do you look in the mirror and wonder where the time has gone? 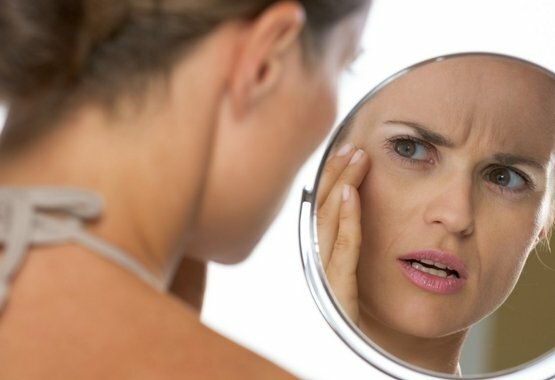 Inside you still feel young and vibrant, but your skin is now letting you down. Lines . Wrinkles . Sagging . Dryness . Age Spots. 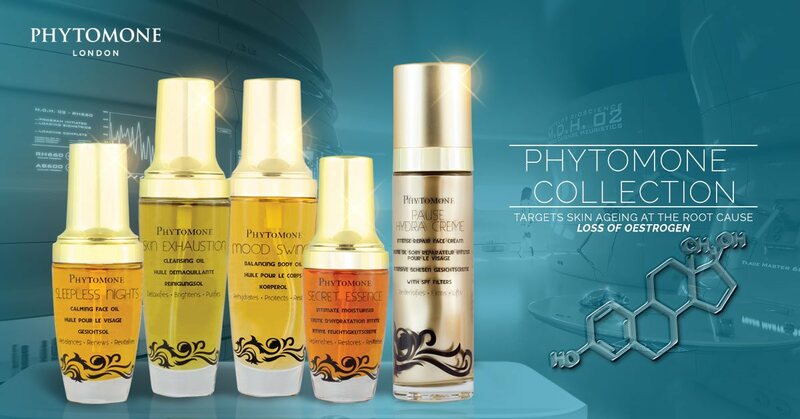 Phytomone specialise in luxurious skincare products designed specifically for mature skin. Based on cutting edged technology and harmonised with high performing natural ingredients, we push the boundaries of skincare expectations. Elevate your skincare regime and discover what is now achievable with our unique formulations based on Cosmetic HRT™ and Phytonol™, designed to target mature skin ageing at the root cause; loss of oestrogen. The main cause of skin ageing for mature women is loss of oestrogen. This vital hormone is responsible for keeping skin firm, hydrated and luminous. During menopause oestrogen declines rapidly, causing a dramatic deterioration of skin health. With continued research and new technological advancements, Phytomone have now encapsulated the bio-active form of phytoestrogens into their formulations. Ensuring the molecular structure is almost identical to body oestrogen, this important bio-mimicry active has the ability to bind to facial oestrogen receptors, without entering the blood stream or altering levels of natural body hormones. Phytomone’s breakthrough Cosmetic HRT™ augments natural plant hormones with a superior delivery system to offer exceptional lifting and firming results. This new form of skin perfecting cream provides unmatched visible results, to give your skin full potential and inject new life and energy back to the very cells where beauty is born. Phytonol™ -The safe alternative to Retinol for mature skin. For increased skin firmness and density. Mature skin is desperately deficient in oestrogen, which is now the main cause of skin ageing and the rapid decline of skin health. Without the influence of this vital hormone, one significant change is loss of firmness and density, caused by insufficient collagen production and the breakdown of elastin fibres . Delicate, thin skin can now be easily damaged and irritated with the use of harsh anti ageing ingredients, such as commercial retinoids or retinol, which your younger, more robust skin could easily tolerate. Phytomones breakthrough Phytonol™ science augments Vitamin A and Beta Carotene into their advanced beauty oil formulations - two of natures most powerful ingredients proven to restore and regenerate skin cell production and stimulate fibroblast cells in the deeper dermal layers. With continued research and a formidable understanding of cutting edge biotechnology, Phytonol™, a safe alternative to retinol for mature skin was created. As science merges with botanicals in the Phytomone laboratory, the full potential of natural elements are harnessed, helping to gently, but effectively restore and regenerate mature skin. Phytomone push the boundaries of nature with Phytonol™, giving impressive results, without any harm to your delicate skin. Join our VIP Club. Get insider exclusives, receive a fabulous discount off your first purchase. If you need to contact us with questions, feedback, testimonial or a suggestion, please click above or send an email to support@phytomone.com.